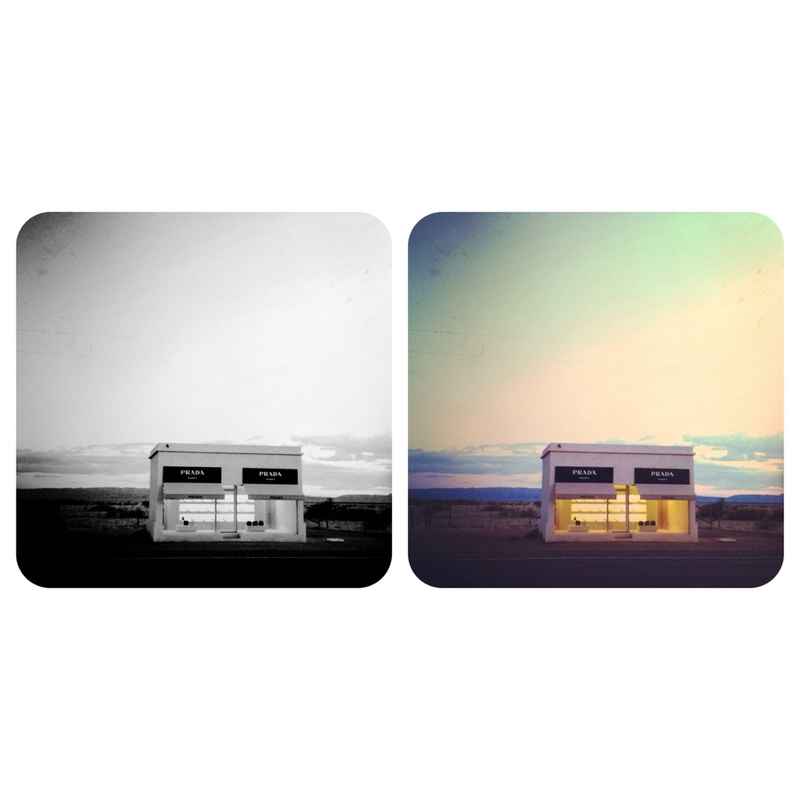 As discussed, marfa is beautiful, teeming with amazing art and galleries. 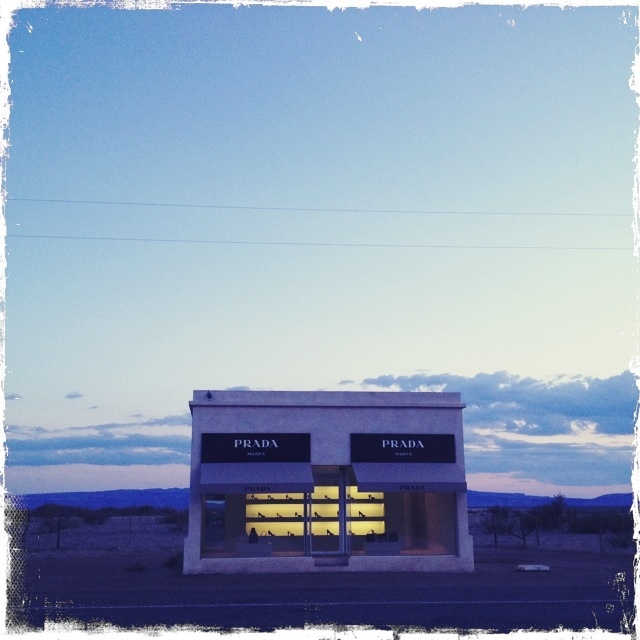 The one thing I wanted to see most was the Prada Marfa exhibit. 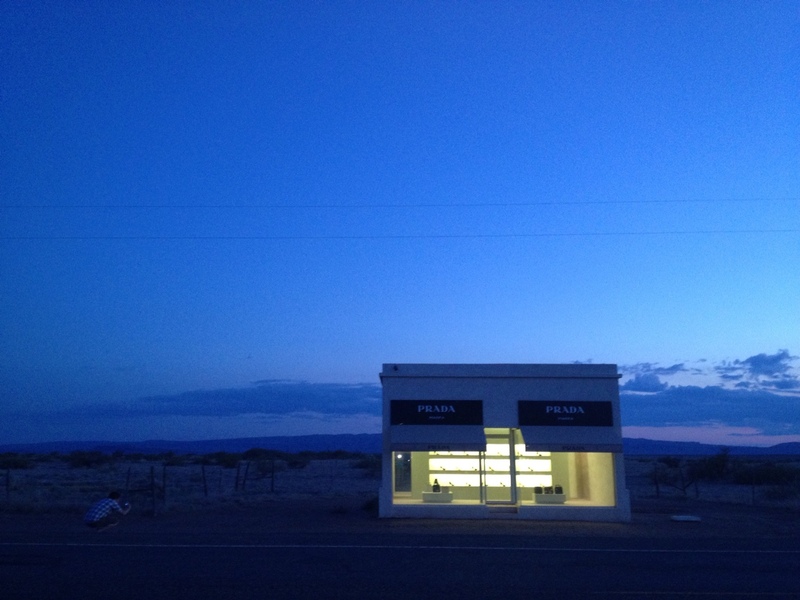 It is basically a non-functional Prada store 35 miles outside of Marfa. 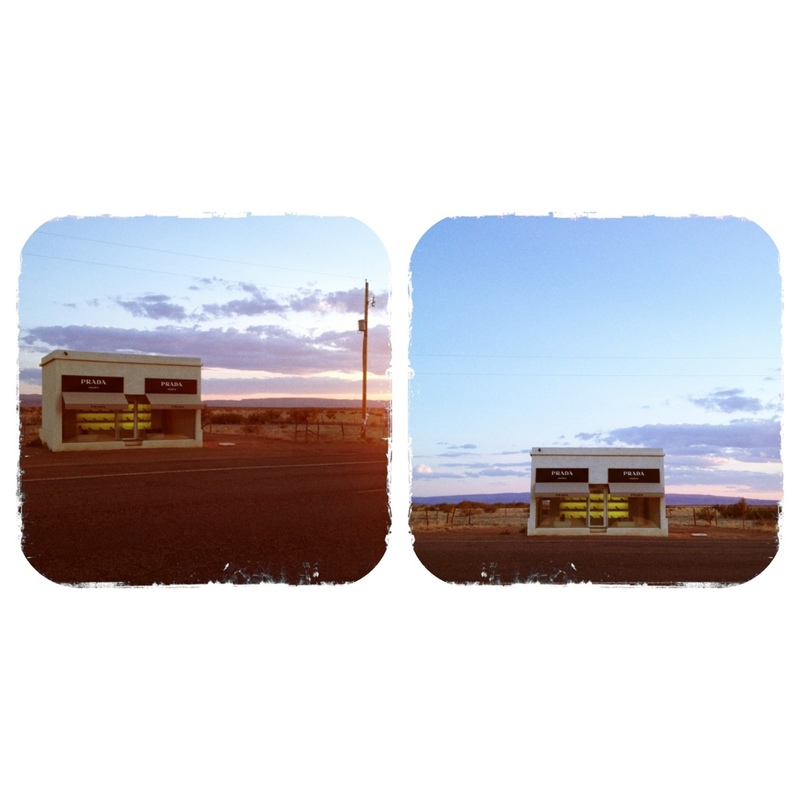 Can you imagine seeing this along the highway in the middle of nowhere. 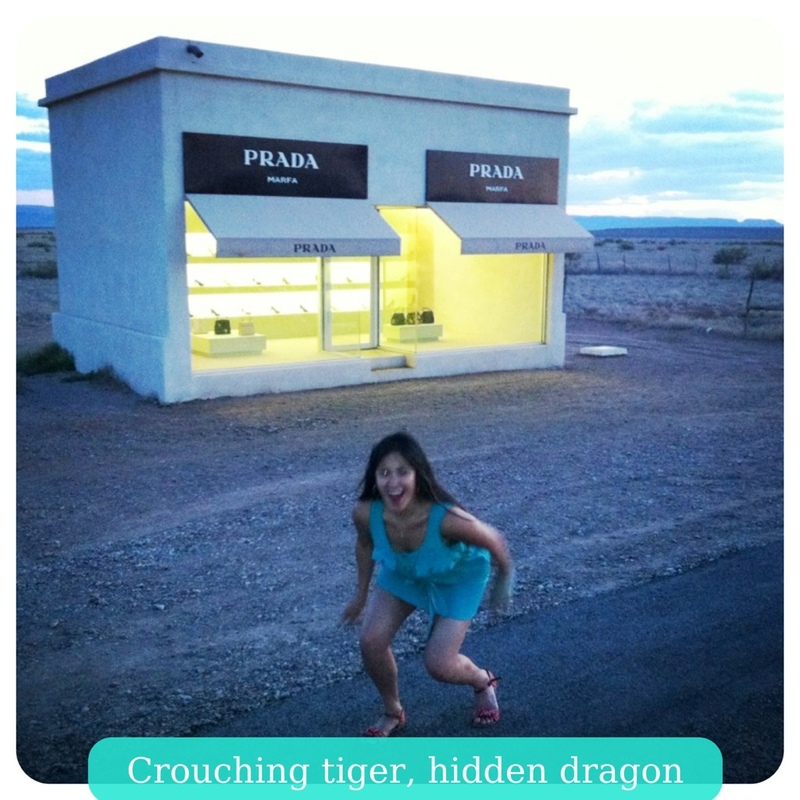 When the exhibit first opened, someone broke in and stole all the shoes and handbags. 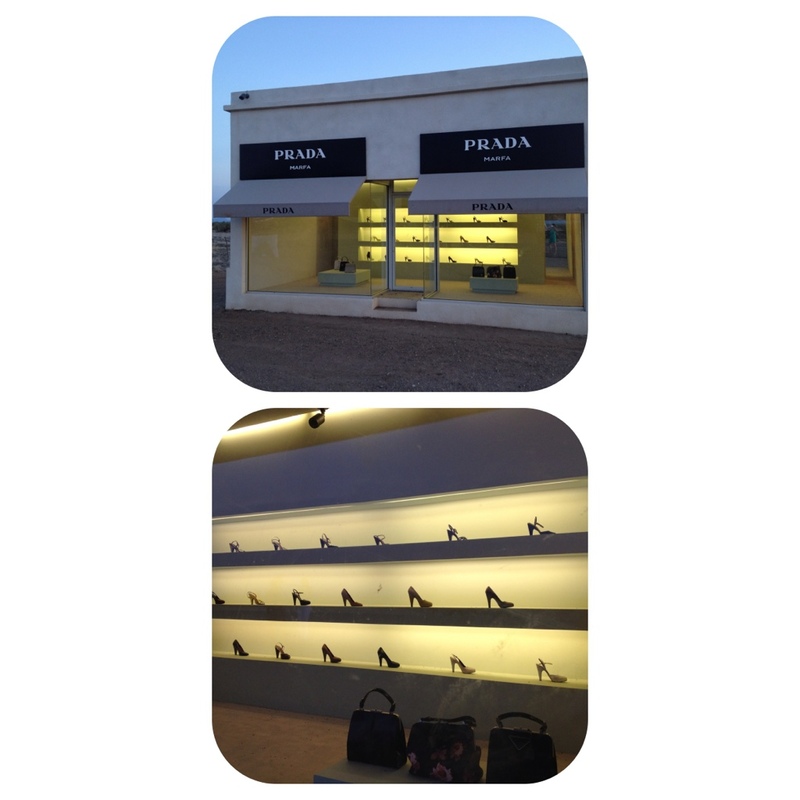 These were donated by Miuccia Prada herself. To combat future thefts, all handbags have the bottoms cut out. Enough talk, here are the pics. It’s amazing to take so many pics of the same thing, but they’re all so pretty. Like the Eiffel tower.